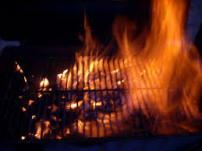 Grill Mats – Which Type Do You Mean? You probably arrived at this page because you were searching for “Grill Mats.” This means you are most definitely looking for one of two things, and we need to get you headed in the right direction by figuring out which one you’re searching for. Are you looking for the type that are used to place on the deck, patio or ground under the barbecue grill that look like the image to the left? If this is what you’re looking for, click on the image and you will be transferred to the page that reviews that type of grill mats.
. . . or are you looking for the bbq Grill Mats that you place on the grates of the barbecue grill to use as a cooking surface? If this is what you’re looking for then read on. You’re in the right place. Grill Mats – What Are They? They go by many different names. 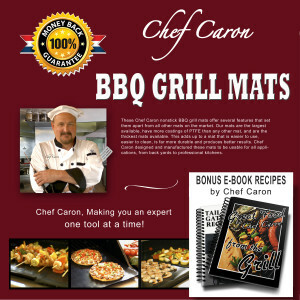 They are referred to as bbq grill mats, grilling mats, nonstick cooking mats, baking mats, Teflon® sheets, reusable grill mats, bbq sheets, barbecue grill mats, etc. That’s only a few of the different references people use, but you get the idea. They all refer to the same item or product. Grill Mats are a thin rectangle of flexible material (between .1mm and .25mm thick, depending on quality) that have the same nonstick features as a Teflon® pan. They are usually around 13 x 16 inches in size, and are currently available in either black or tan coloration. They can be rolled up and can be cut to different shapes and sizes for a large variety of nonstick applications. More on that later. Grill Mats are produced with the same nonstick surfacing that is used in other nonstick cookware, but there are some major differences. 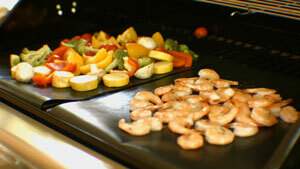 The nonstick material used for both pans grill mats, is called PTFE which is short for polytetrafluoroethylene. In the case of grill mats, the PTFE is applied to a piece of wide-weave cloth – the same type used as an under-surface for fiberglassing. 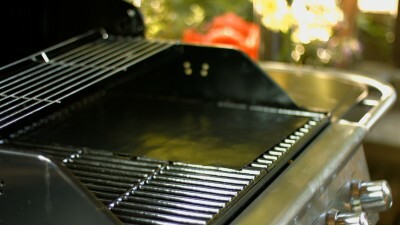 It’s important to point out that a grill mat does not contain any fiberglass, just the cloth used in fiberglass applications. In the production of a grill mat, because the PTFE is being applied to a flexible surface, we are able to apply a much thicker layer of the nonstick coating. With more a higher quality (and more expensive) grill mat, such as Kona and Chef Caron, the PTFE is applied to the point where there is very little surface texture, creating an ultra-slick surface that is quite durable and still completely flexible. Grill mats are easy to use. You simply place them directly on your grill grate and cook your food on them. 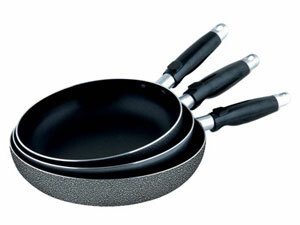 As with any nonstick cookware, the FDA has set safety limits on the temperature levels. You’ll never want to use any of your nonstick cookware, including the grill mats, at temperatures above 500 degrees fahrenheit. PTFE is highly stable and impervious to water and even harsh chemical solvents within that temperature range. Not that you’re going to be cooking any chemical solvents, but I’m just pointing out that it’s impossible to damage a grill mat by cooking on it, UNLESS YOU OVERHEAT THEM! I put that in all caps because people do overheat them and yes, it does ruin the mats. One reason that so many mats get damaged by excess heat is because the users don’t realize that you can’t grill the same way with grill mats as you would without them. For example, even though I use grill mats constantly on my barbecue, I still cook most meats the traditional way, with very high heat and short cook times. You wouldn’t want to use grill mats when doing that type of grilling. Stick with what you know, and use the grill mats for things you can’t do without them – like making breakfast on the grill with bacon, pancakes, sausage, fried eggs and hashbrowns, for example, or cook chopped vegetables, fish or shrimp. If you’ve been shopping for grill mats you will have noticed that prices range from just a few dollars up to around twenty dollars for a set of two mats. Why this big price difference? Easily explained. You can manufacture a grill mat for as little as 60 cents. That will be a very thin mat (.1mm), small in size (13 x 15), with the lightest possible amount of PTFE. This is what you can accurately call a “cheap grill mat,” and you could probably get them on Amazon for as little as $6 a set. You’ll be lucky to get more than a few uses out of them before they disintegrate. In this case you get exactly what you pay for. On the other end of the equation you can purchase a mat that is thick (.25mm), large in size (13.5 x 17), and has multiple applications of PTFE. 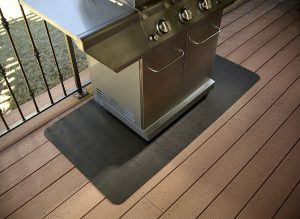 You can identify these grill mats with generous PTFE, because the texture of the underlying cloth is almost invisible. On cheaper mats you can clearly see the checkerboard of the cloth through the thin layer of PTFE. This type of mat is expensive to produce and will be easy to use, easy to clean and will last a long time if you don’t overheat it.